Doctoral students, research assistants, post-docs and any other academic employees who are not faculty at ETH are united in one group called scientific staff (in German, “Mittelbau”). It is the second largest group at ETH Zurich after the students. In 1968 our predecessors joined forces to protect and improve all aspects of the scientific staff’s well-being at ETH Zurich and founded the Association of the Scientific Staff at ETH Zurich, AVETH. AVETH is the official representation of the scientific staff at ETH Zurich. It sends representatives to various councils and commissions such as the University Assembly, Strategy Committee etc., and regularly meets with ETH Zurich’s Executive Board to make sure your concerns are raised. AVETH bridges the gap between you and the executives at ETH Zurich. On the one hand we convey your opinions to the head of the university and on the other hand we inform you about the decisions made. We keep an eye on political developments at ETH and are prepared to step in whenever needed. The association is also here to help you with any problems and questions you might encounter while living and working in Switzerland. This ranges from how to open a bank account, how to get the correct visa permit, where to find a flat to how to deal with your supervisor or contract regulations. We have compiled various information in the present handbook and regularly update information on our homepage. AVETH is an intercultural and interdisciplinary association uniting scientists from all departments at ETH Zurich. 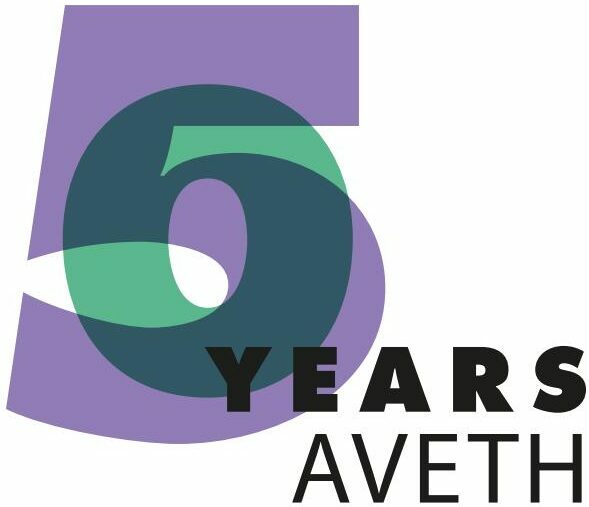 In order to connect scientists from all over ETH, AVETH organizes a variety of social events. The spectrum covers fun or sport activities, career events as well as excursions. Some events are jointly organized with our sister association at the University of Zurich (VAUZ), such as the “get-to-know-pubs” or the “Pub Crawl” that organized regularly. Seize your chance while you are in Zurich and enrich your personal life by making new friends and interdisciplinary professional contacts. You can find more information on upcoming events on our homepage. AVETH-members are also informed about upcoming events via our email newsletter. Wherever you end up after finishing your doctoral thesis at ETH Zurich – in industry, a research institute or a university – happy memories and valuable contacts will stay with you forever! In every department, AVETH has sub-associations called department associations (in German Fachvereine) which are responsible for the political representation of the scientific staff on department level. Department Associations represent your voice at the “Department Conferences” and can help you with problems on a departmental or institutional level. Moreover, they also organize various events; a perfect way to meet new people working in the same field. Again, the spectrum of events ranges from sports and cultural events to company visits or other career events. As an AVETH member, you are automatically a member of the respective department association. The list of Department Associations will give you an overview of all department associations at ETH Zurich. If you have any ideas on how to improve life at ETH Zurich, if you want to organize an event, or if you know a practical solution to a problem, simply let us know. You are welcome to join the AVETH Board, project teams and work groups. If you want to contact us, send an email or contact board members directly. Be informed. Be involved. Join AVETH! The Academic Sports Club of Zurich offers students and staff of both ETH Zurich and the University of Zurich the opportunity to engage in a broad variety of activities. Courses taught by professional instructors, as well as opportunities to participate in over sixty types of sports, are offered at the university sport facilities located at ETH Zentrum-Polyterrasse, Fluntern, Uni-Irchel and ETH-Hönggerberg, as well as at various outdoor sites around Zurich. The sport centers are also open for individual use. The ASVZ aims to promote physical activities as an accompaniment to studying and working. Thereby emphasizing the benefits of physical and mental well-being for good health while providing recreation and relaxation. All doctoral students are automatically members of ASVZ, the membership is paid for by part of your semester fees. Your ETH card is your proof of membership that gives you access to ASVZ services. Other employees (such as postdocs) can buy a membership for CHF 180 per year. If you start working at ETH Zurich, but have not been officially registered as a doctoral student yet, you need to pay the yearly fee. You will get a partial refund once you present your valid ETH card to the ASVZ. Members of the ASVZ can participate in almost all sport activities offered and use the sports centre facilities for free. Some activities and special courses organized in co-operation with external groups may require an additional fee (golf, tennis, paragliding, sailing etc.). In addition to individual training, it is possible to participate in team sports such as unihockey, badminton, football (soccer) and beach volleyball. Other services available through the ASVZ include massages, sauna, fitness evaluations and sports/nutrition counseling. For some services, a minimal additional fee is required. Plenty of paths exist for meditative running or simply letting off steam. An event worth getting involved in is the SOLA-Stafette, a run held in early May each year. It is a relay race in and around Zurich with various distances through forests and over fields. Taking part in a team relay is a great way to meet people, see a bit of Zurich, and have a great time. More information on the SOLA relay race and a lot more can be found on the ASVZ homepage. The ASVZ offers the opportunity to purchase a membership pass for your significant other, as well. The cost is CHF 500 annually. The pass can be obtained at any ASVZ info desk. Forms can be downloaded from the homepage. While doing your doctoral studies, seize the opportunity to learn German or a different foreign language. There are several offers at both ETH Zurich/University of Zurich as well as from external companies. Browse the following pages to find out more. The Sprachenzentrum is the common language center of ETH Zurich and the University of Zurich. It offers courses to learn German as a foreigner (also intensive courses), language courses for many other languages as well as courses on improving your academic writing skills. Doctoral students and other scientific staff are charged a fee of around CHF 400 to take language courses. Check-out their webpage for more information. ETH Zurich recommends that professors subsidize language course fees for their doctoral students and scientific staff as this might facilitate the newcomer’s integration. English or academic writing courses can also help increase the success rate for paper submissions. However, some professors are not willing to support their graduate students in this matter. The Language Center’s tandem exchange is aimed towards students and staff of the University of Zurich and ETH Zurich. Tandem learning is independent from participation in a language course and there is no fee for this service. What is tandem learning? Tandem learning involves two people with different mother tongues working together to improve their foreign language skills. Tandem learning also allows participants to learn about different cultures and share cultural experiences. The approach is based on autonomous learning, with each partner being responsible for his or her own learning progress. The participants decide on their own aims, learning strategies and areas to cover within a set timeframe. The international Erasmus Student Network in Zurich organizes a variety of events. Visit their website to find out more. The ETH Store offers books, study materials, stationery, and merchandise products with the ETH logo. Students and employees get discounts and benefit from special offers. Dream it, do it! You won’t regret it. Founded in 2011, the club has consistently enjoyed rapid growth, and currently has over 2’000 members. Although it specifically targets students of ETH Zurich, the Entrepreneur Club welcomes anyone with entrepreneurial enthusiasm and an interest in creativity and innovation. Our vision is to foster entrepreneurship in Switzerland and make Zurich the tech startup epicenter of Europe. We represent a vibrant, international platform for entrepreneurs and unleash the business potential of ETH research. Cofoundme even became its own brand. More information on the ETH Entrepreneur Club website.